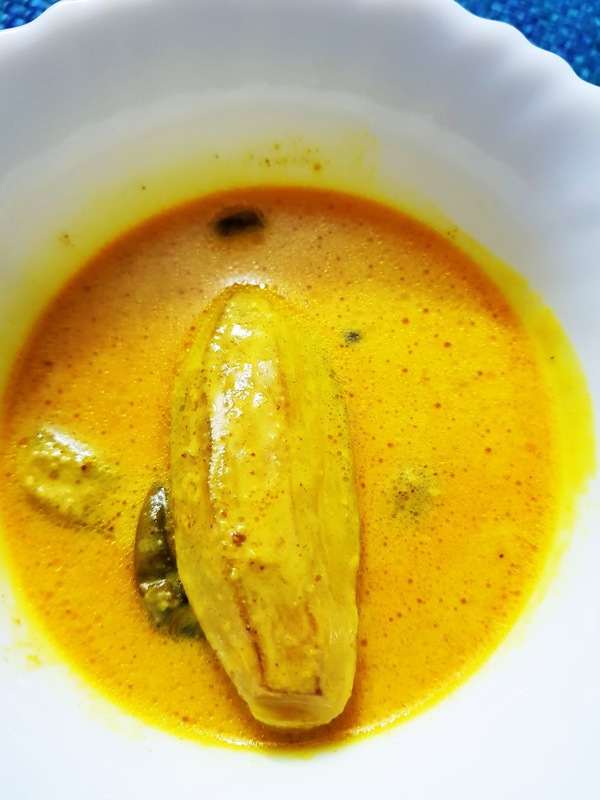 Pointed Gourd or Potol is not new to a Bengali household. Whether one likes it or not, potol is cooked all round the year. 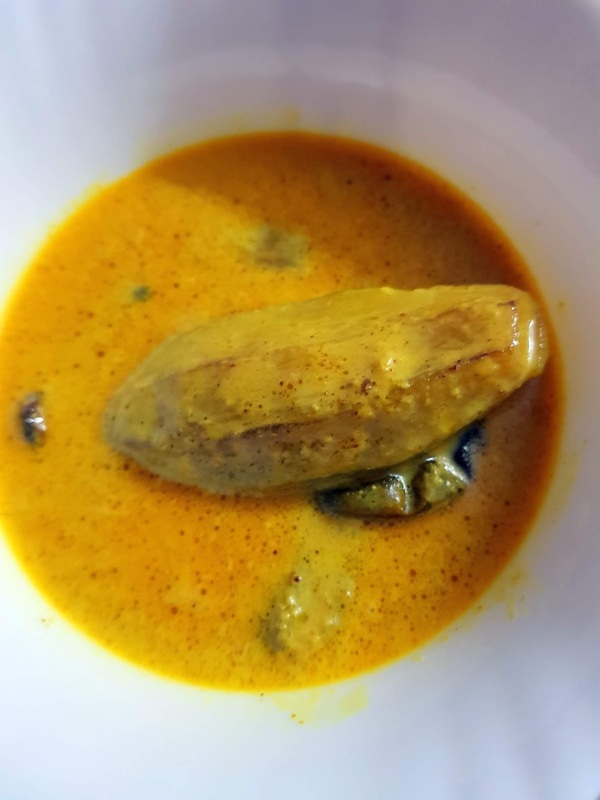 What is important is the number of recipes that mothers and grandmothers can come up with a simple and almost tasteless vegetable like potol. Recently, I tried my hand at potol in milk. And I totally surprised myself. So much so, that I was adamant on writing it in my blog and sharing it with all. Unless you don't make, you wont realize that a gravy dish that has no onions, tomato, ginger, garlic and no garam masala or dhania (coriander) powder, can taste so good ! 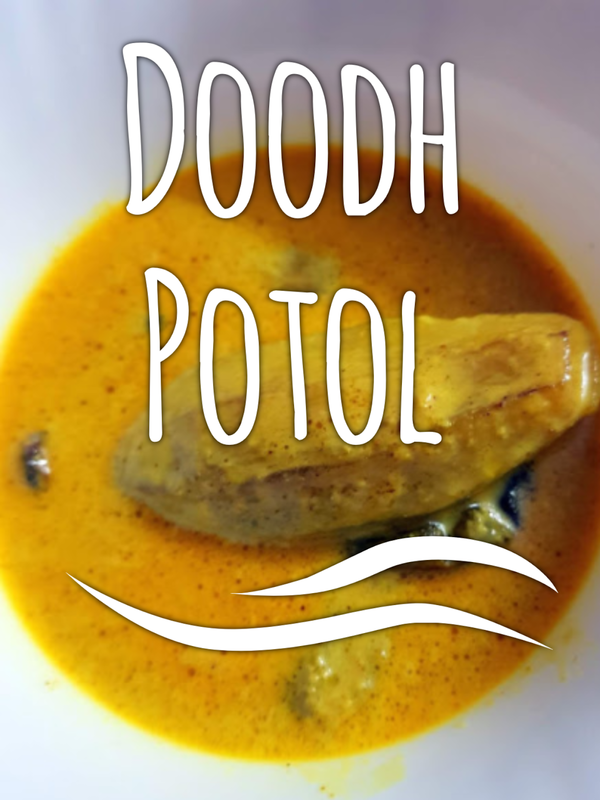 Get on with the recipe and make some delicious Doodh Potol ! Cut of the pointed ends of the vegetable and peel it completely. Now in a kadhai, add some oil and fry the potol till they cook 50 percent and develop some brown color on the sides. In the same kadhai, add in the slit green chillies, cardamom, cinnamon and cloves. Fry till aroma emits. Ensure that the flame is not high and you do not burn the whole spices. Immediately, add in the dry powder spices - turmeric and cumin. Add the previously fried potol and add milk. Reduce the flame and cover and cook till the vegetable is completely soft and milk thickens and resembles a gravy. For gravy, I have used toned milk. For a more richer and tastier version, you can definitely use full fat or full cream milk. You can also replace oil for ghee.